Dominica, East Caribbean, West Indies - what's it like? island paradise. Rivers are in abundance, cooling the air and offering numerous opportunities to bathe in a crystal clear river pool and enjoy many scenic lakes and waterfalls. As a visitor to Dominica you will not find walled in mega-resorts, so typical of many other Caribbean islands, but small intimate inns and guesthouses which serve to make your stay a more personal experience. Private rentals are also increasingly popular. 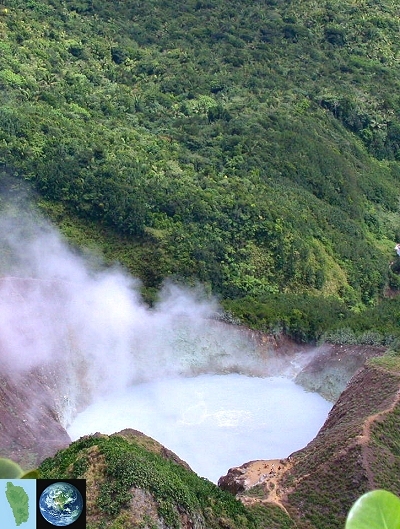 Dominica is a volcanic island with many mountain peaks above 4,000ft in height and several areas of thermal activity, such as the Boiling Lake in the Morne Trois Pitons National Park, a UNESCO World Heritage Site. 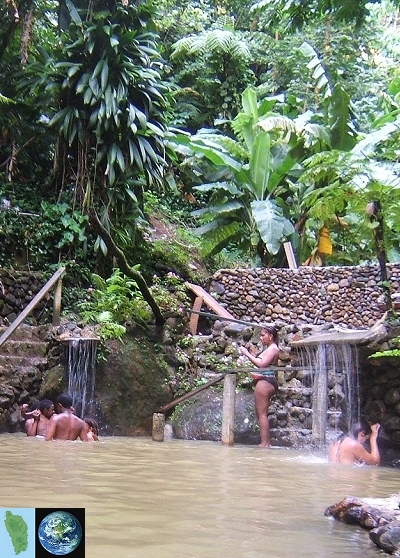 Hot springs occur in many parts of the island and at the village of Wotton Waven in the Roseau Valley and in the forest behind the village of Soufriere in the south west are hot mineral water spa's. Off the south west coast are hot springs in the ocean, referred to by divers and snorkellers as 'Champagne' - their locations are betrayed by streams of tiny bubbles rising from the sea bed. The large outflow of fresh water into the calm waters of the Caribbean Sea to the west, provides an ideal habitat for many species of whale and dolphin, which can be seen all year round on an afternoon boat outing. Diving and snorkelling are also very popular. 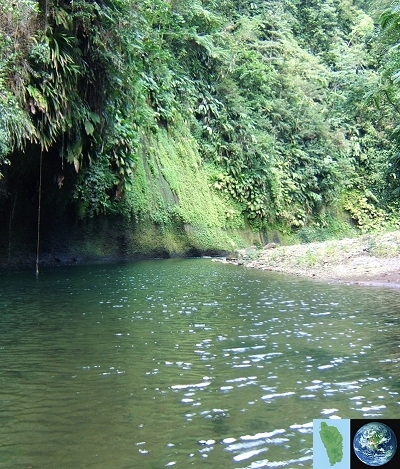 In fact, as a scuba destination, Dominica is rated 3rd in the whole of the Caribbean basin and is catered for by several dive centres scattered along Dominica's sheltered west coast. 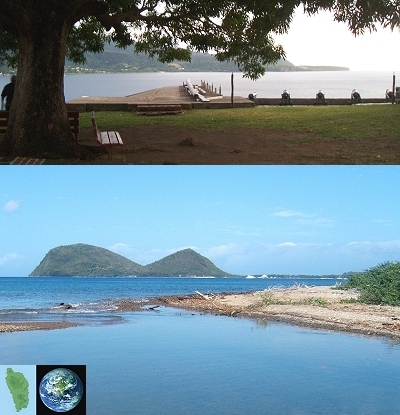 There are two Marine National Parks - a submerged volcano at Soufriere/ Scotts Head Bay in the south - around and to the north of the Cabrits peninsular in the north west and a third one should soon be declared off the mid west coast. 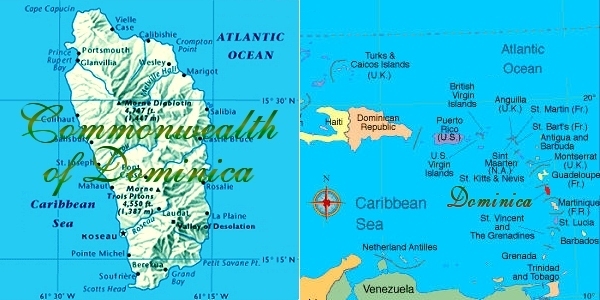 Dominica is the only Caribbean island to have a surviving population of Carib Indians. After the Arawaks, these migrants from South America dominated the region for a long period, before being decimated by the colonizing forces of Europe. In the north east of the island, the Carib Territory is an area where their culture is preserved and protected. 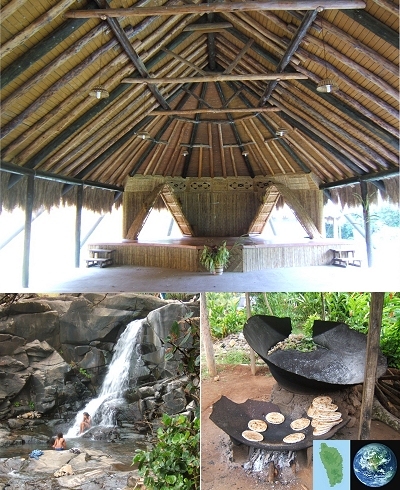 A traditional Carib Village has been recreated for the visitor at the mouth of the Crayfish River. For a small charge you will be shown a short documentary before being taken on a tour, after which you may sample traditional food at the outdoor cafe and where local handicrafts such as carving and basket weaving may be purchased from several stalls. Such curios and cuisine may also be found at a variety of roadside kiosks and snackettes throughout the vicinity. The Cabrits peninsular, with it's two prominent hilltops, projects out into the Caribbean Sea from the north west coastline just north of the town of Portsmouth. This area played a major roll in the defence of the island during times when the colonial powers were empire building and constantly battling for territory. 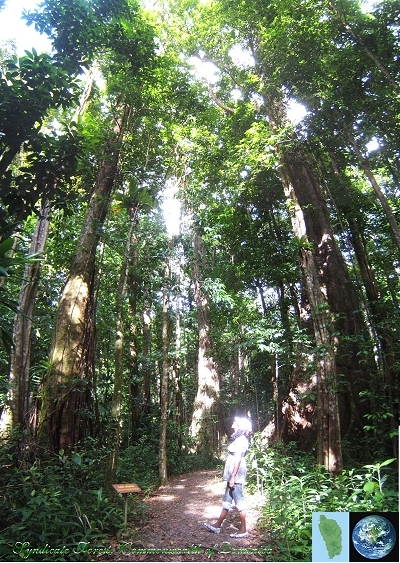 Today, it is a National Park, with nature trails to observation points at the summits of both hills. The restoration of Fort Shirley has been ongoing for several years now, under the watchful eye of our island historian, Lennox Honychurch. Cannons have been placed back in their original locations on the repaved ramparts and the refurbished officers mess building is now often hired out for private functions. Dr. Honychurch is also an artist and an author, his most popular books being 'The Dominica Story' and 'Dominica - Isle of Adventure', both available locally. 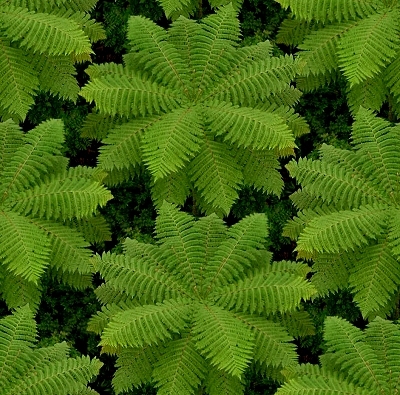 For those of you contemplating a holiday visit to Dominica, there is an abundance of information on the internet to whet your appetite and help you make your arrangements in advance. One of these, which has been serving visitors for over 18 years is Nature Island Destinations, a small on-island outfit which offers a wide selection of accommodation at all levels including private rentals and provides supplementary services such as arranging vehicle hire on arrival at the airport, a guide to take you to the Boiling Lake, an outing with a bird or botany expert (foresters), scuba diving at a selection of west coast operators, or an afternoon whale and dolphin seafari. * buying land which is a portion of an unapproved sub-division. * buying in someone else's name in order to avoid paying the Aliens Land Holder's Licence fee. * buying property with disputed boundaries. * buying property which may have a squatter. * paying money direct to a vendor before consulting a lawyer. Safehaven Real Estate began life approx. 16 years ago, based on the U.K. model, and has grown into Dominica's busiest and most successful real estate outfit, with in-house lawyer and a loyal and enthusiastic team of employees. 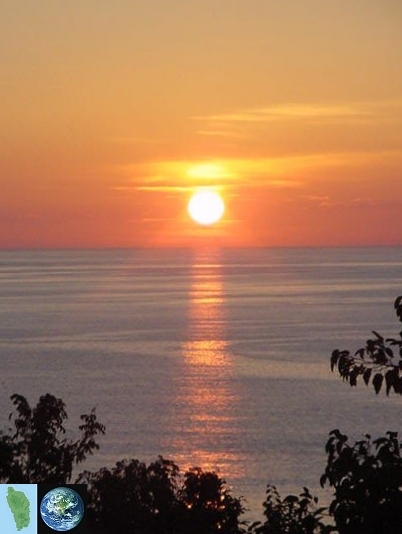 Their outlet is locred on the Roseau Bayfront and the website property listings are updated daily.